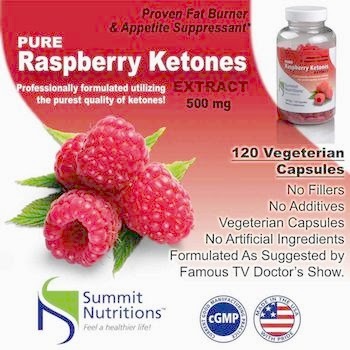 Pure Natural Raspberry Ketones - No Additives, No Fillers or Artificial Ingredients. Proven fat burner and appetite controller. In Vivo and In Vitro studies, it shows that it increases the Fatty Acid Oxidation; stimulate Adiponectin, which is a protein involved in regulating Glucose Level and Fatty Acid Oxidation. It burns the Body Fat and Converts it into energy when the body needs it and that is how it helps the body to control appetite; as a result it is an Appetite Suppressant. 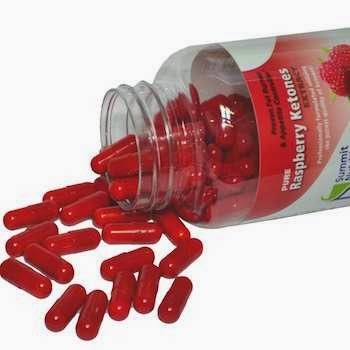 Raspberry Ketones Works as an efficient weight loss supplement when it combined with balanced diet and regular exercise. When one does exercise, it requires the body to burn extra energy and also burn extra calories, and if you are taking Raspberry Ketones, it burns the existing body fat to convert it into energy which is required for exercise. 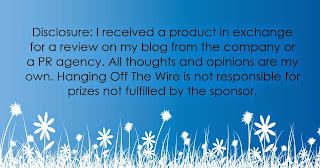 As a result one doesn't need extra nutrition to get energy for exercise. Jason takes these all the time and he really likes the results he gets.